We also take care of the material from your old logo if it is to be replaced by a new one. We dismantle and recycle the material fully to keep our impact on the environment to a minimum. 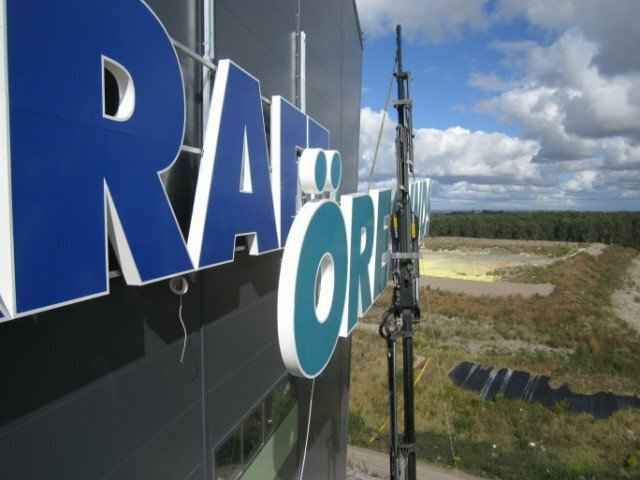 In order to ensure the safe installation of your new signs, we work mainly with our own installation teams in the Nordic region. This approach adds superior quality to our projects, and ensures that the installations meet our high quality standards. 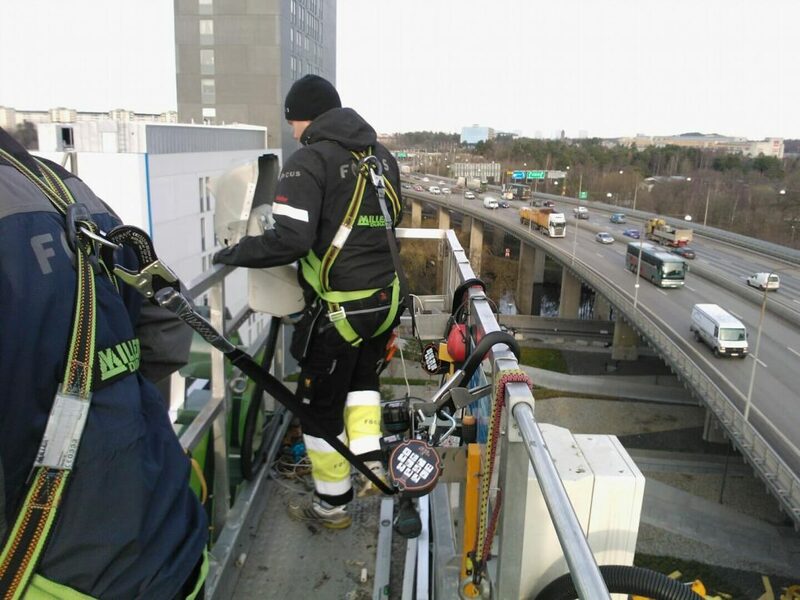 Our installation teams are certified for working at height and approved by the National Electrical Safety Board. We use a self-developed assembly manual and document all our work in accordance with our quality certification to ISO 9001. Everything for professional mounting and for you, as the customer, to feel assured and confident with your delivery. For more extensive projects within the Nordic region, we also use several selected partners. These partners have long experience of both installation and service and naturally hold all the authorisations and permits to ensure professional installation. For projects that extend outside the Nordic region, we are proud to be a part of a global network of installation partners that are able to handle larger projects on all continents. 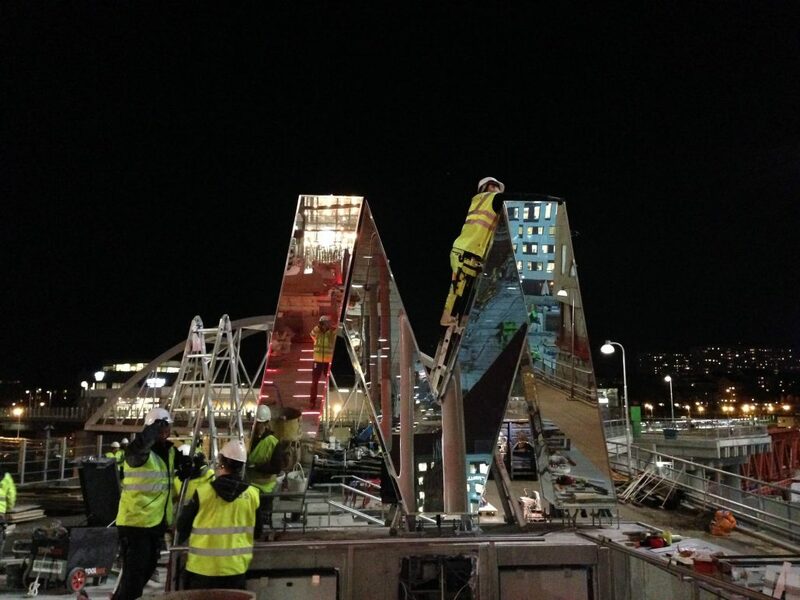 All installations are carried out as an important part of our Access working method. The installations are controlled centrally via our project management system, SignE, which enables you as a customer to log in and follow the installations. In a large time-limited project with many sites and sub-projects involved, this can be the key to a successful outcome.